It may have come from your darling wife, or maybe whispered to you via one of her girl friends. You should get her a push present. Probably half jokingly, and you were probably like yeah, a what? A push present is a gift from a partner to the mother of their child, to celebrate the birth of said child. Despite the name, you still give the present if you have a planned c-section despite there being no pushing. And apparently if you go from natural to emergency c-section, you need to give two presents! How’s that for additional stress? Of course it’s optional (unless you’ve already promised her), and it’s still not as commercialised and event as Valentine’s Day, Easter, Mother’s Day or Christmas. But like planning a flash mob dance for your very public proposal, if you do it right, it’ll make all her girl friends envious and all your guy friends hate you! It’s probably been around in some form for ages, but the current term started in the US and its high profile celebrities and has now spilled onto our shores. Currently there seems to be a split between people who think it’s a great idea given she’s been carrying your child for 9 months, and those who think we shouldn’t commercialise a birth. After all, isn’t the baby a gift already? Certainly, the baby is a miracle, a gift that cannot be measured, but there’s no harm to give your wife a something little extra. We give gifts for all those other holidays, so why not have one for a celebration that involves both of you? So dads, why not pick out something meaningful that shows how much she means to you? I’m assuming if you’re reading this you are not a celebrity, so you don’t have to get the Canary yellow diamond earrings and a matching ring, valued around US $2.8 million that Jennifer Lopez got. Phew! A newborn photography session. OK that’s pretty obvious, you were probably going to do it anyway, but if you hadn’t discussed it before it’s the perfect gift that’s meaningful and doesn’t feel like you’re paying her to give birth to the baby. Sushi. I know when my wife gave birth, the first thing she wanted was raw fish! Ask your doctor if you’re breastfeeding though. Real Food. Bring her 3 meals a day at the hospital. Hospital food isn’t terrible, but after 9 months on a restricted diet at least let her enjoy her first meals. A family trip. If you have family who live overseas, babies are actually easiest to travel with under 6 months. If it’s her family, she’ll love the surprise! Personal Coupons. You can promise to do the dishes, clean the toilet, give her a back rub, whatever! And luckily for you the coupons eventually run out ? A personalised necklace. You can get a range of tags with the baby’s name and birth date engraved as a keepsake. A rocking chair. It may seem like a luxury, but when breastfeeding or just rocking baby to sleep, it’s worth every dollar! Flowers. Something that’s so simple and yet says so much. Your local florist will be able to give you advice. Breast milk ring. Yep, you can make jewelry from breast milk. Pretty amazing huh? A day spa. Take care of baby and give her a time to really relax. Mothers Bracelets. Personalised in silver with Swarovski crystals. Everyone loves Swarovski crystals. A roomy designer tote. You’ll soon realise how many things you need to bring out even for the simplest trip to the shops. A pair of nice comfy pajamas. A nice pair to wear at the hospital, not Kmart ones! Technically it may not count as a push gift since she’s getting it before? Since we’re talking about before, how about a maternity photography session? You get one with your newborn session anyway. And your artwork will be just in time for the baby’s arrival! Indoor ugg boots. Again for the hospital, those floors are cold! Bath bombs. After avoiding hot baths for 9 months, maybe a glass of bubbly as well! Antipasto and red wine. Extra points if you made it yourself. Birthstone ring. If you don’t know the stone, here’s a list. Diamond anything. If baby is due in April, your birthstone is diamond. How convenient! Finally fix that thing in the backyard you’ve been promising for the last year! Just do it! Personalised Musical Snow Globe. With your favorite music. A new tablet. Whether you’re Android, Windows, or iPad, she’s going to need something portable now she can’t site at a computer. A Postpartum/Postnatal massage. She’ll love this one! We’ve been using Motion Health Centre in Sydney for all our massages for years. Swarovski make pretty zodiac animals in different styles. If you have a crystal cabinet she’ll love this! A beautiful heirloom album of your journey together. Especially if you’re one of those couples who never made a wedding album! We can help with that. That pasta maker she’s been wanting for a while. L’Occitane Lavender Pamper Hamper. My wife loves lavender. And it’s so relaxing. Babysitter and night out at her favourite Thai (or other) restaurant. Diaper duty. You can’t put a price on this. Take the Night feeding shift. If you’re feeding formula or expressing milk. A mixtape for her hospital stay. Something that reflects your journey together. The new iPhone. I don’t know, any excuse for a new iPhone. USB Travel Charger. She’s going to be on that phone a lot now! Chocolate. The good stuff. Breastfeeding burns a lot of calories! Breastfeeding pillow. Makes a huge difference. Postpartum Recovery Shorts. They’re pricey for sure, but a must have. Get that fancy deep fryer she’s always wanted. Baby charms. If she has a favorite jewelry store, and especially if you’re planning more children, you can start a collection! A Gold-Dipped Rose. Natural and beautiful. A color Kindle. It’s light and easy to have a quick read when she has down time. A beautiful Silver Peter Rabbit Music Box, with your favorite nursery song for the baby. Some good quality Organic Green Tea. Great for helping you all relax. A second wedding band. In some cultures stacked rings show you the size of a woman’s family. Baby fingerprint necklace. Such a sweet and personal gift. May have to wait a little for baby to grow a bit. Hire a house cleaner. You know she sees dirt you can’t. She’ll be exhausted looking after a newborn. Offer to cook. But only if you’re a good cook! While you’re at it get the fancy cookware set she’s always wanted. A Dyson Stick Vacuum. There’ll be lots of little messes, and this will make it easier for you to clean them up. Nursing tops. Good comfortable ones. Foot Soak And Fancy Free from Lush. Couple this with a foot massage! How about a hand crafted towel teddy bear that you make yourself? If your bed is a bit old, how about a new mattress to give you both a good sleep? And a Silver Satin Sleep Mask to get some rest even during the day. Lego or nanoblocks. There’s not much fund you can have bed bound in hospital. A personalised vintage locket to fill with your baby photo. A Georg Jensen – Moneyphant Piggy Bank, a cute way to save for your baby’s future. Or a Vera Wang Infinity Piggy Bank if you want something less stylised. A beautiful bound leather journal for her to document her thoughts and feelings during this special time. Netflix. If you haven’t got it, now may be the time. Personalised Teddy Bear from various places. With your child’s name and date sewn on the bottom of the foot. A life size photo pillow. She’s going to want the pillow more than you while taking care of baby. A Pacifier with Thermometer. Makes taking temperature so much easier. Promise to do the grocery runs so she can relax at home. Or if she prefers, take care of bub so she can get out of the house and do the grocery runs. A food processor with all the accesssories. You’ll be making a lot of baby food soon! A Blanket scarf. Comfy and warm, doubles as a breastfeeding over. Many mums crave ice cream, so it may be time to get that ice cream maker she’s been eyeing since Christmas. A bottle of vintage year red. These usually come out on sale the year after though, so you’ll have to write an IOU. Cellar for 18 years and enjoy! Tickets to a festival or concert she couldn’t go to in the last year. A Love Letter. If you had a maternity session with us, you’ll know how touching this can be. Dyson Supersonic Hair Dryer. There’s much more to hair dryers than we understand. Tiffany 1837 circle pendant. Can’t go wrong with Tiffany. Cloud backup. 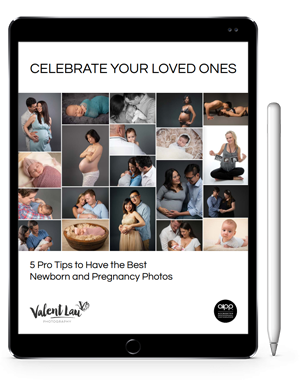 Yep, you’re going to have a million photos of your baby a day, help her get them off the phone and backed up! Personalised Childrens Books from Wonderbly. We have one for each kid. Bio Oil for stretch marks. You’ve probably been using it already. Keep using it until the tummy has returned to previous size. Designer Baby Birth Details Framed Print. Baby hand and foot plaster impression kit. Easier to do when they’re still so sleepy and etherial. You can also get baby ink print sets. They use a colorless wipe so you won’t get ink everywhere. A baby glow night light. For those late night feeds or nappy changes. For the more ambitious the Mercedes GLE is apparently a nice SUV for taking babies around. Mariah Carey got a 4-carat pink sapphire and diamond necklace. Personalised of course. Beyonce got a huge blue diamond ring, in honour of their daughter’s name back in 2012. You have to be careful, at that size you can’t fit many on a hand. Trinity de Cartier ring. For our very own Nicole Kidman. Mila Kunis designed a gold and emerald motherhood ring with jeweler Marina B and all the proceeds went to charity! Hermes Birkin bag. Up to 150k for top tier, but good enough for Kristin Cavallari. Handy for all those nappies. Pink got a custom built motorcycle. A Rolls Royce is apparently good too, according to Rob Kardashian’s fiance. I’d prefer the roomier SUV. Lorraine Schwartz diamond choker. The perfect baby accessory for Kim Kardashian. Even the royals do it! Kate Middleton got a pair of Kiki McDonough earrings. They were only $4000! Adele got a Marina Cowdray gold Buddha necklace. Jessica Alba got a $54k Fanck Muller gold and diamond watch. Supposedly to keep track of feeding times.